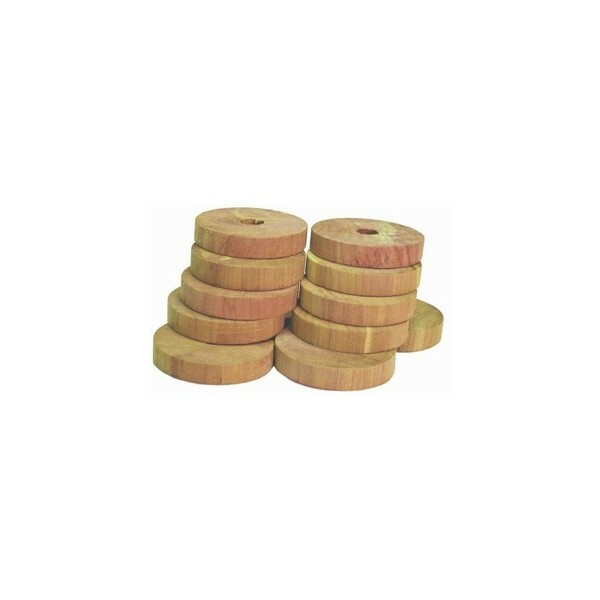 These cedar discs come with hole pre-drilled to perch perfectly on any hanger for extra natural protection against weather and pests. You can even use these as sachets in drawers or shoes! 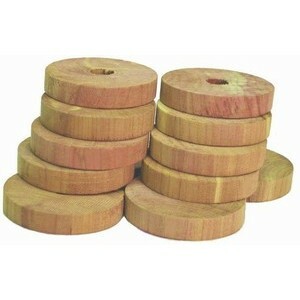 Sold in packages of 20, each 2" diameter x 3/8" thick.